The Canadian government is considering sending a high-level delegation to China in an effort to end bans on canola imports from two major Canadian agribusinesses, Prime Minister Justin Trudeau said in Winnipeg. The Canadian government is considering sending a high-level delegation to China in an effort to end bans on canola imports from two major Canadian agribusinesses, Prime Minister Justin Trudeau says. China has cancelled Richardson International's and Viterra's licences to sell canola after Chinese officials said inspectors found pests in the companies' canola. Many observers have suggested the restrictions are part of a diplomatic war sparked by the arrest in Vancouver of Meng Wanzhou, president of Chinese company Huawei, at the request of U.S. authorities. "Obviously we have seen a certain amount of challenges in our relationship with China over sort of the diplomatic issues," Trudeau said Tuesday. "There is significant interest in sending a high-level delegation to China to talk about the extraordinary work that we do in terms of oversight inspection and the science around ensuring the safety of and the quality of" Canadian canola, he said. "We understand how much of a concern this is to farmers right across Western Canada and the entire industry. We are going to continue to work with them and indeed with China to try and resolve this situation." Trudeau didn't take media questions at an afternoon event in Winnipeg, but International Trade Diversification Minister Jim Carr, MP for Winnipeg South Centre, said a trip to China is being discussed. "The prime minister is considering the most appropriate delegation and we will get back to you on that," he said. The Canadian government wants to see evidence that there's a problem with the banned canola, Carr said. "There is an allegation that there are pests in a canola shipment, and we say, 'Where is the evidence?'" Manitoba Agriculture Minister Ralph Eichler called for a Canadian trade mission to China to resolve the issue when he spoke to reporters in Brandon on Monday. Canada exports more canola than any other country in the world, and 40 per cent of Canada's seed exports go to China. Trudeau also spoke Tuesday with Jim Everson, president of the Winnipeg-based Canola Council of Canada, and met with Hartley Richardson, president of Richardson International, about the canola ban. Everson said he's expecting another large crop of the commodity this year and surmised prices will drop if China does not purchase any Canadian seed. "The Chinese market for seed is larger than the next three major markets combined: the United States, Mexico and Japan," Everson said in Winnipeg. Jim Everson, president of the Canola Council of Canada, says the Chinese market for seed is larger than the next three major markets combined. "If we don't have access to that Chinese market, that is going be a considerable concern for producers." Canola farmer Charles Fossay, president of the Manitoba Canola Growers, said while farmers are used to dealing with unpredictable events that affect the business, he'd like the prime minister to tackle this challenge promptly. "Please try and deal with this as quickly as possible so that, you know, the farm economy and farmers can move ahead in a steady fashion. We don't need these disruptions." Trudeau spoke at several events in Winnipeg on Tuesday after arriving Monday evening to attend a function for Liberal donors, part of a series of campaign-style appearances across the country. He was scheduled to attend another fundraiser on Tuesday evening in Toronto. CBC Manitoba's Up To Speed aired an interview with the prime minister Tuesday afternoon on Radio One. Trudeau also took a shot at the Manitoba Progressive Conservative government as he praised his government's recent budget. "Unfortunately, right across the country we've seen a number of provincial governments decide that they don't want to partner with the federal government on investing in infrastructure," he said. The Manitoba and Winnipeg governments have been involved in a dispute over infrastructure funding, with the city criticizing the province for not providing expected money for road repairs. "If one partner isn't coming to the table, oh well — the municipalities and the federal government will work together," Trudeau said, trumpeting his government's one-time doubling of the gas tax transfer to municipalities. 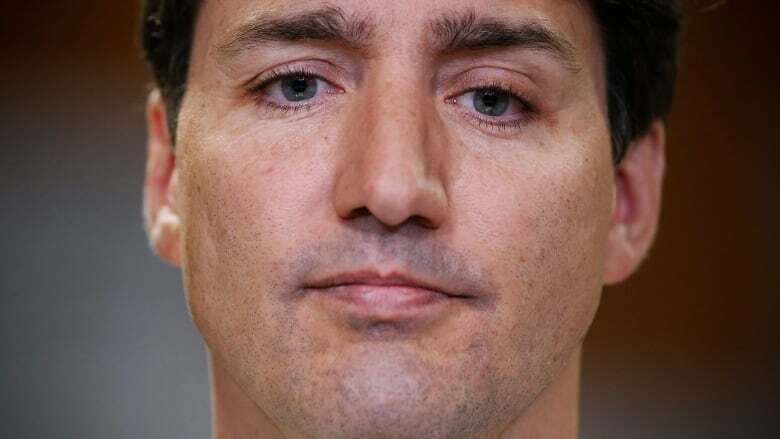 Trudeau refused to answer questions about story by The Canadian Press that said he had rejected former justice minister Jody Wilson-Raybould's recommendation to name Conservative Manitoba Judge Glenn Joyal to be chief justice of the Supreme Court. "The choice of Supreme Court justices and indeed chief justice of the Supreme Court of Canada is always a decision by the prime minister," he said. "Canadians can know that they can have confidence in our institutions, in our judicial sysem, and I have no further comment to make on this particular story."